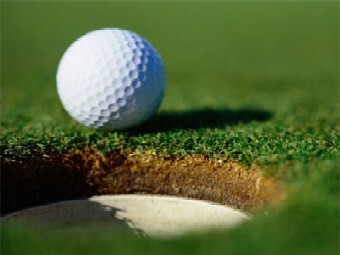 Do you like to golf? Well, I do. One of my favorite things about our Georgia mountain property for sale is our proximity to several excellent golf courses. 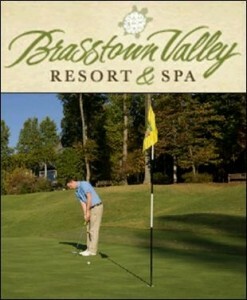 There is one in particular I’d like to recommend highly, Brasstown Valley Golf Course. I had the opportunity to spend some time last weekend at Brasstown. The first thing you can’t help but notice, which sets this course apart from most of the ones you’ve visited, I’m sure, is the incredible, breathtaking view of the Blue Ridge Mountains. The Brasstown Valley Golf Course is one of the best courses to play in Georgia, according to Golf Digest and Leading Golf Courses of America, and it’s easy to see why. It’s beautiful! The golf course goes through wildlife preserves, streams, and ponds, and all the while you have gorgeous mountains all around you. There are five sets of tees, and all skill levels are welcome. Bringing guests along who don’t like to golf? No problem! They can go to the spa, horseback riding, and hiking, just to name a few activities. I brought some in-laws with last weekend who spent the day picnicking and doing arts and crafts, and they couldn’t stop raving. Brasstown Valley is a whole resort with plenty to keep you busy. It would probably make a nice spot for a romantic getaway, too. When you come by to see our Georgia mountain property for sale, you’re in for a treat if you’re a golf lover. Our property is available for showing whenever you want to see it. So stop on by! This entry was posted in Things to Do in North Georgia and tagged Golf. Bookmark the permalink.